It’s always alarming when elderly people go missing from a retirement home, since the outside world is particularly weird and scary these days, but sometimes—a very rare “sometimes”—a story about old people going missing can have a pretty rad ending. 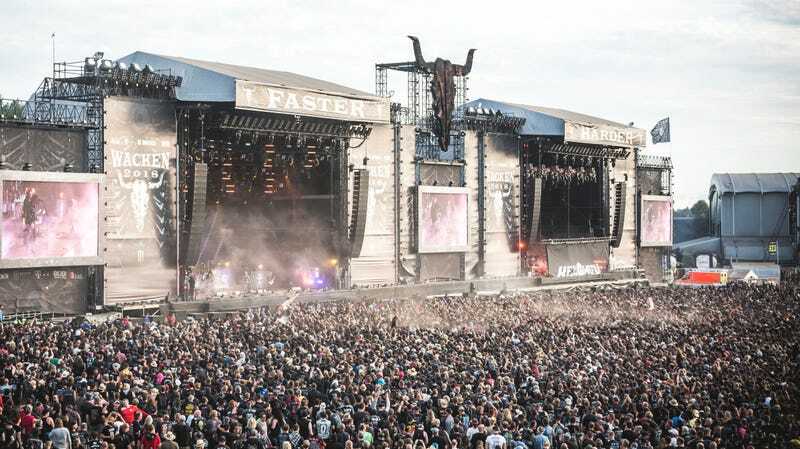 Such was the case over the weekend, when two unidentified men apparently escaped from their retirement home in Germany and traveled 25 miles to reach Wacken Open Air, the world’s biggest heavy metal festival. According to German news site DW and a report from The Washington Post, the two men most likely got to Wacken by walking and using public transportation, and they weren’t found until 3 a.m. on Saturday morning after going missing on Friday night. They were also apparently “reluctant to leave” until they spoke with police, at which point they agreed to go home. According to a statement from police spokesperson Merle Neufeld, the two of them “obviously liked the metal festival” and wanted to stay.